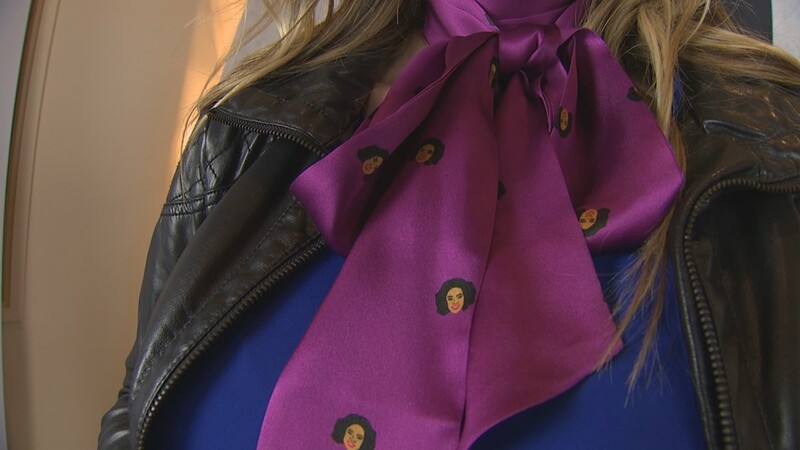 Seattle-based brand andieanderin creates 100% silk neckties for women, inspired by influential women of the past and present. SEATTLE — The fashion trend of 2018 may be neckties – but, not for men. For women. Seattle brand andieanderin turned the accessory into a statement piece, in more ways than one. Each design is inspired by an influential woman. 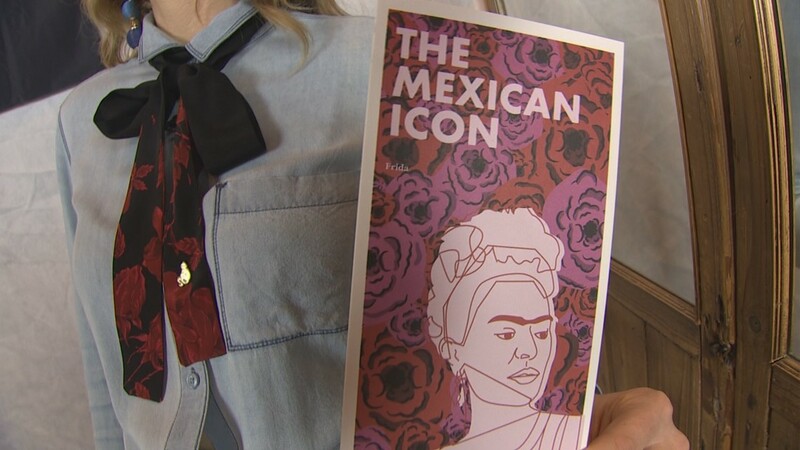 Their first collection includes neckties celebrating Oprah Winfrey, Michelle Obama, Malala Yousafzai, Beyonce, Hillary Clinton, Frida Kahlo, and Mother Teresa. Founders Lisa Santos and Cara Ingham wanted to blend their backgrounds in fashion, marketing and business to honor trailblazers. 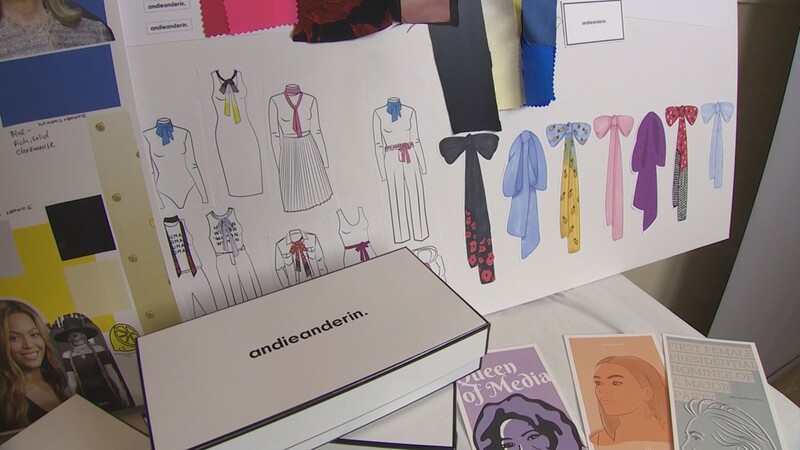 Each necktie comes with a storyboard - a one-of-a-kind illustration of the woman, with information about her achievements and why she was selected as the design’s inspiration. 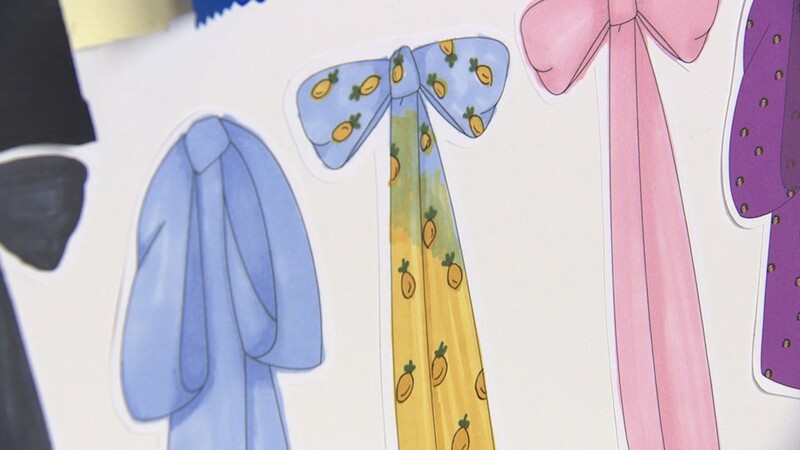 The neckties can be wrapped, knotted and draped in various ways, and fit both women and girls. 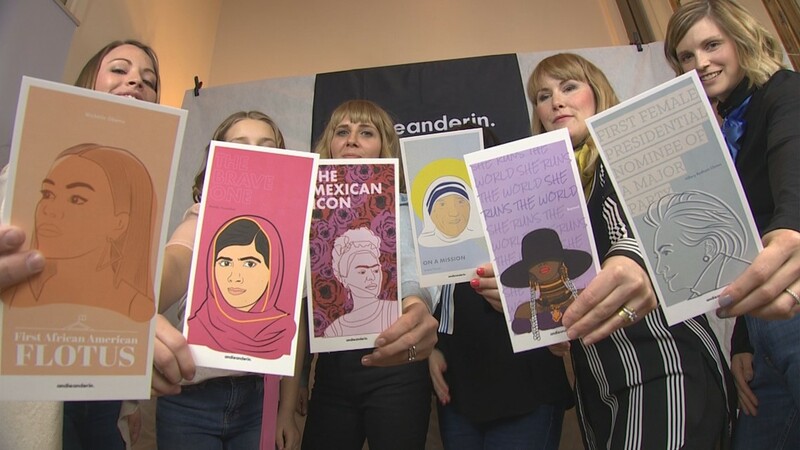 ‘We chose to also design for girls because we think it's important to reiterate, or in some cases introduce, these women that are accomplishing these amazing things. It's a motivator,” Santos said. 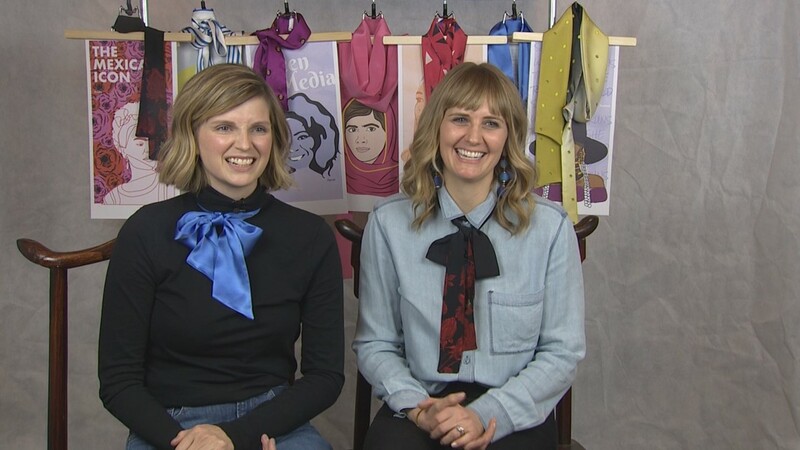 The fashion trend of 2018 may be neckties… for women, by women! They celebrate historic and modern greats like Oprah Winfrey, Michelle Obama, Frida Kahlo and Mother Teresa. Founders Lisa Santos and Cara Ingham blended their backgrounds in fashion, marketing and business to honor the prominent figures. The neckties are 100% silk, and can be wrapped, knotted or draped in various ways. They range in price from $40-$60, with a portion of the proceeds going to Step Up, an organization pairing young girls with mentors. All the designs are limited, and new styles inspired by other women are released when they sell out. The necktie lines are limited. When they sell out, Andieanderin will release new collections inspired by other women. "It's been a really great experience to be creative in this way while celebrating amazing, amazing women,” Ingham said. The neckties range in price from $40-$60, and a portion of proceeds are donated to Step Up, an organization pairing young girls with mentors.